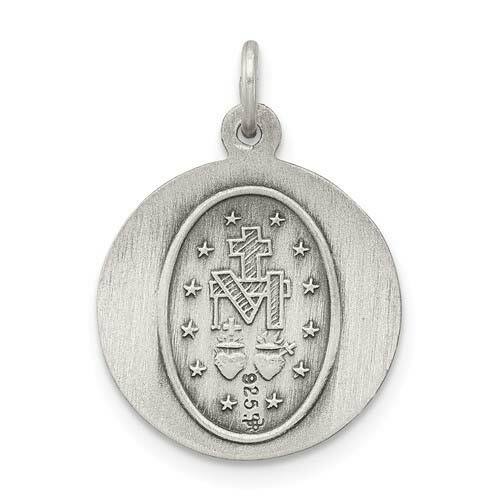 Miraculous medal is made of solid antiqued sterling silver. Measures 5/8 inch tall by 5/8 inch wide without jump ring. This item is smaller than a dime. Antique finish. Chain not included. 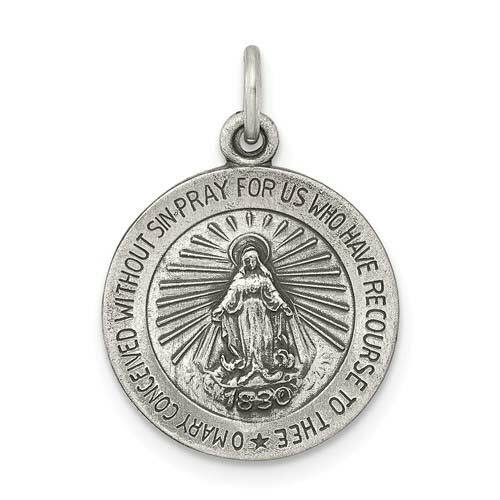 The Miraculous Medal is lovely. It is small, slightly smaller than a dime, but the images are very well defined. I bought it for my daughter to wear on the chain with her cross. It is a perfect size and very well made. Daily wear on a chain.